So, you’re interested in this mesmerising sport we call skydiving? There’s no better place to do it than in Yorkshire! 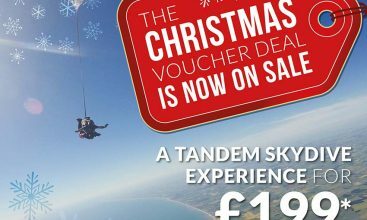 Our skydiving centre is based just north of the coastal resort of Bridlington, East Yorkshire and with our proximity to the coast we offer unrivalled views from the aircraft and throughout the skydive experience. 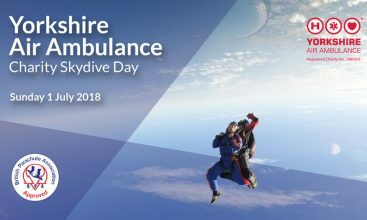 We specialise in introducing people to the exciting sport of skydiving whether it’s jumping for charity, a one-off experience or something you want to take up as a hobby or sport. 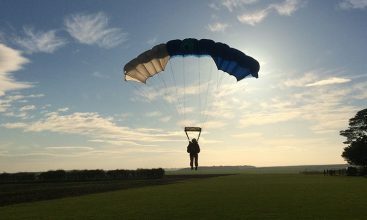 We are affiliated to and governed by the British Parachute Association which has a worldwide reputation for safety within the sport. All of our instructors are BPA approved and have passed the rigorous instructor training courses and assessments provided by the Association. You'll be able to view the Yorkshire Coast like never before! Whitby, the Humber Bridge and beyond! All our instructors have passed the rigorous instructor training courses and assessments, created by our governing body. We're proud of our 5 star TripAdvisor rating and two Certificate of Excellence awards. 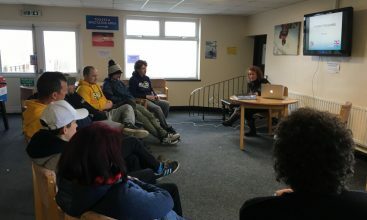 DBS checked instructors are available for both the tandem and solo training courses. 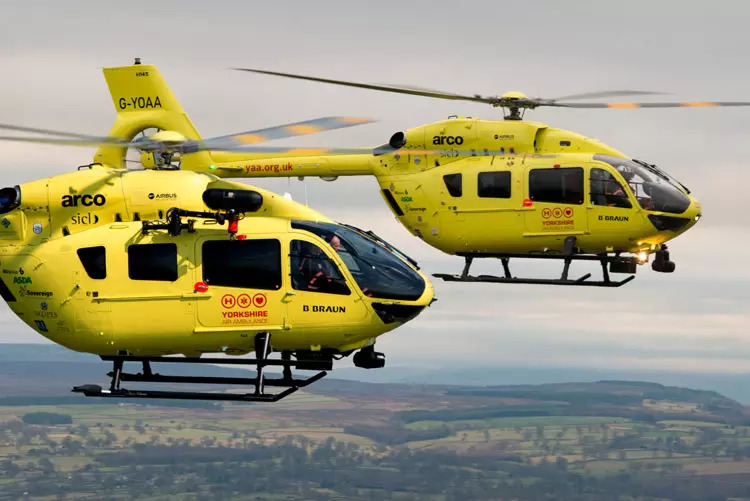 We’re proud to be supporting the hard working team behind the Yorkshire Air Ambulance. 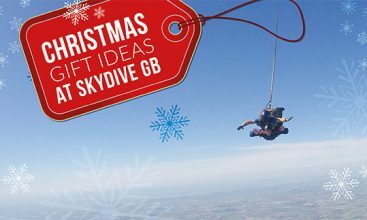 When skydiving to raise money for them, you can have a reduced rate on us! Every Day Is Safety Day! An absolutely amazing experience. Well worth the money. Everyone I went with fully enjoyed it. Excellent staff who were very experienced and helped me feel very at ease. The morning was organised and everything ran smoothly. Good facilities on site too. Had a fantastic time today and completed my first tandem skydive. The views were amazing and thank you to Simon for bringing me back to earth safely. 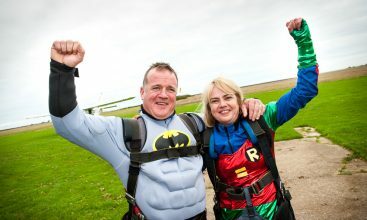 For anyone thinking of doing this whether it’s to raise money for charity or a personal challenge you are in safe hands. This was the best experience of my life, the gang looked after us from start to finish, they are very friendly and like to have a laugh which makes you feel at ease. The couple running the café are also fab! If you want to be one of the first to know about great offers, events and club news – sign up to our newsletter! Sign up to which newsletters?